Dr. Moore is the Rudolf and Hilda Kingslake Professor of Optical Engineering and professor of biomedical engineering, as well as professor of business administration in the William E. Simon Graduate School of Business Administration, all at the University of Rochester. In 2006, he was also appointed director for entrepreneurship at the University and in 2007, he became the vice provost for entrepreneurship. From 2004 until 2009, he was responsible for the $3.6 million Kauffman grant on entrepreneurship with a $7.2 million matching from the University of Rochester. Prior to this, from 1995 until the end of 1997, he served as dean of Engineering and Applied Sciences at the University of Rochester. He also served as president of the Optical Society of America (OSA), a professional organization with more than 12,000 members throughout the world, in 1996. From January 2001 until the end of 2002, he served as senior science advisor at OSA. Dr. Moore was confirmed by the US Senate in the fall of 1997 for the position of associate director for technology in the White House Office of Science and Technology Policy (OSTP). In this position, which ended in December 2000, he worked with Dr. Neal Lane, President Clinton’s science advisor, to advise the president on US technology policy, including the Next Generation Internet, Clean Car Initiative, National Nanotechnology Initiative, ElderTech, and CrimeTech. From January through March 2001, Dr. Moore served as special advisor to the acting director of OSTP. Since the summer of 2005, Dr. Moore has been a visiting professor at Stanford University, where he has worked on its Center for Longevity to create an international, interdisciplinary research and teaching network focused on solving fundamental physical and social problems associated with extended life expectancy. He is also senior fellow of Greater Rochester Enterprise. In this position, he is the initiator and organizer of the Golden Horseshoe Business Plan Contest, a competition that includes the areas of Western New York State and Southern Ontario Province. The PhD degree in optics was awarded to Dr. Moore in 1974 from the University of Rochester. He had previously earned a master’s degree in optics at Rochester and a bachelor’s degree in physics from the University of Maine. Dr. Moore has extensive experience in the academic, research, business, and government arenas of science and technology. He is an expert in gradient-index optics, computer-aided design, and the manufacture of optical systems. He has advised more than 50 graduate thesis students. In 1993, Dr. Moore began a one-year appointment as science advisor to Senator John D. Rockefeller IV of West Virginia. He also chaired the successful Hubble Independent Optical Review Panel organized in 1990 to determine the correct prescription of the Hubble Space Telescope. In addition, Dr. Moore is the founder and former president of Gradient Lens Corporation of Rochester, New York, the manufacturer of the high-quality, low-cost Hawkeye boroscope. Dr. Moore was elected to the National Academy of Engineering in February 1998. He has been the recipient of the Science and Technology Award of the Greater Rochester Metro Chamber of Commerce (1992), the Distinguished Inventor of the Year Award of the Rochester Intellectual Property Law Association (1993), the Gradient-Index Award of the Japanese Applied Physics Society (1993), and has received an Honorary Doctor of Science degree from the University of Maine (1995). 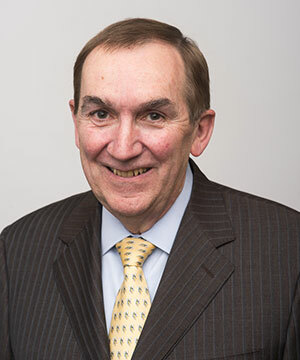 Further, Dr. Moore received the National Engineering Award of the American Association of Engineering Societies and was designated the Engineer of the Year by the Rochester Engineering Society, both in 1999. In 2001, he received the Optical Society of America Leadership Award. In 2005, he was named an honorary member of the Optical Society of America (Rochester Chapter), and in 2006 Dr. Moore received the Gold Medal of the International Society for Optical Engineering (SPIE). Professor Moore's major areas of research are in gradient-index materials, computer-aided design (including design for manufacturing methods), the manufacture of optical systems, medical optics (especially optics for minimally invasive surgery), and optical instrumentation. His most recent PhD thesis student topics have been: very high efficiency solar cells; polymer gradient index optics; built-in accommodation system for the eye; terahertz imaging; generalized three-dimensional index gradients; single-point diamond turning of glass; design methods for gradient-index imaging systems; effect of diffusion chemistry on gradient-index profiles formed via sol-gel; quantitative phase imaging in scanning optical microscopy; integration of the design and manufacture of gradient-index optical systems; and interferometric characterization of the chromatic dispersion of gradient-index glasses.